Bob Logue - one of ten siblings - was born in Cascade, Pennsylvania in 1955. When he was nine, his father bought a Honda Trail 90, and kicked in half the price for a Fox minibike for Bob. That's when Bob gained a lasting impression about Hondas. He recalls, “The Fox was always breaking down; the Honda never quit running.” In addition to earning a healthy respect for the Honda brand, Bob formed a lifelong love affair with motorcycles. He says, “There was this long, long hill that went up to my grandparents' place. The day I no longer had to walk up that hill was like heaven. Zipping up it on a motorbike gave me a whole new outlook on life.” Still under ten years of age, Bob decided that one day he would like to be a Honda dealer. 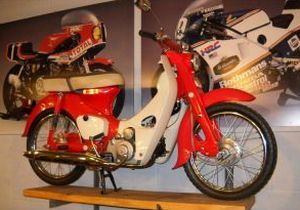 Logue had an opportunity recently to demonstrate Honda's legendary reliability when the Discovery Channel wanted to feature a Honda Cub 50 in its “Seven Wonders of Motorcycles” program. Logue pulled a mint-condition example (pictured here) out of his collection, fired it up, and went for a 25-mile ride with the camera crew through the Pennsylvania mountains along the Susquehanna River. We all understand the influence that Honda had on the American motorcycle market, but nothing brings it home like viewing all of the most significant and beloved models all in one place. This is what Bob Logue has provided for all to enjoy, and it is nothing less than the brand deserves. To access the Museum on line, click here. To learn more about Bob Logue Motorsports, click here. 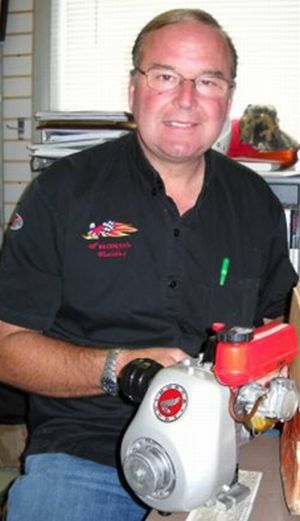 To read about Myron Schroeder and his motorcycles, click here. 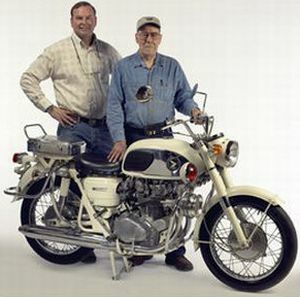 To read our Motohistory Tribute to the 50th anniversary of American Honda, click here. 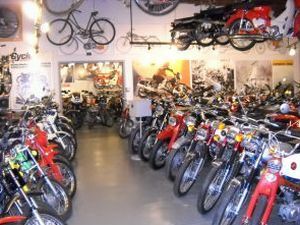 Editor's Note: This story was originally published at Motohistory.net on August 13, 2010.